There aren't many other places in the world where you can find such a variety of beaches as in the Hawaiian islands. 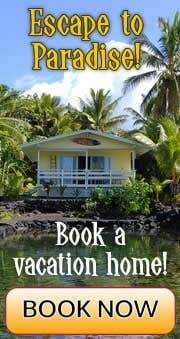 Beaches in Hawaii can be composed of white, yellow, black, red or even green sand, as well as pebbles and rocks. Most beaches in the world are made up of the quartz mineral; others contain small rocks, coral or shell fragments, iron, small gemstones and other minerals. The Hawaiian islands are of volcanic origin, formed by undersea volcanoes. Since Hawaii does not have a continental source of quartz, the popular white beaches here are composed of the carbonate shells of marine organisms. The Hawaiian islands are surrounded by an extensive coral reef, which continuously grows as well as breaks down. The coral reef is built by marine animals, such as corals, and plants, such as algae, that live on the reefs. Corals are the main contributor to a reef's growth. A coral is a tiny animal referred to as a polyp. It has a hard shell that is composed of calcium carbonate, which it extracts from the substances of the ocean. A collection of matured hard coral is called a coral colony. Coralline plants, or calcareous algae, also contribute to a coral reef's growth. This algae grows on the coral heads and also uses calcium carbonate in the reef building process. Many other species, such as sponges and other algae, live on the coral reef that are part of this ecosystem. The reef breaks down into sand by two main factors – mechanical erosion and bioerosion. These two processes create some of the sand for Hawaii's beaches. Mechanical erosion is mainly waves and currents that erode the reef and break it down. Bioerosion is the breaking down of the reef structure into sediment by various marine animals. 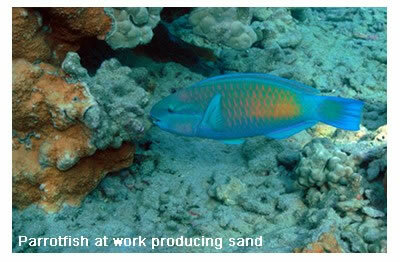 One such marine species that significantly contributes to bioerosion is the parrotfish. This fish species (there are about 90 species of parrotfish worldwide, known collectively as Scaridae) is named for their dentition. They have many teeth that form a parrot-like beak with which they scrape off algae and a variety of reef organisms and pieces of coral from the reef. They play an important role in making the coral reef grow because the algae they feed on would otherwise smother the coral. During the feeding process they grind up coral rock and ingest it. After the rock is digested, they excrete it as sand. One parrotfish can produce about 90 kg (198 lbs) of sand per year. So it is a curious thought how much of the sand on that pretty-looking Hawaiian white-sand beach actually came out of a parrotfish's digestive tract and how much of it is simply crushed shells and other material. For many people, powdery white-sand beaches are the ideal type of beach. White sand is mainly made up of calcareous, reef-derived material, such as crushed corals and shells. An example of a Hawaiian white-sand beach is Waimanalo Beach on Oahu. Black sand beaches in Hawaii can mainly be found on Hawaii's Big Island (and another popular one, Waianapanapa, is located on Maui). The black sand comes from volcanic activity and since the Big Island is the only island in Hawaii that currently has active volcanoes, most black sand beaches are located here (black sand beaches are located near the most volcanically active areas). Black sand beaches are created when lava flows into the ocean. Black sand beaches usually have a short life span (up to a few hundred years) because as soon as the volcanic activity stops, so does the source of the black sand. Over the years the ocean erodes the beach and the waves carry the black sand away. This is in contrast to white-sand beaches, which have a continuous source of coral and shell fragments and other reef-derived materials. An example of a Hawaiian black-sand beach is Punaluu Black Sand Beach on the Big Island. Red sand beaches are a pretty, but rare sight. 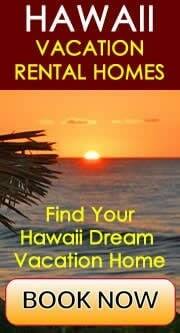 In Hawaii, they are a result of a nearby cindercone that is rich in iron and has eroded over many years. An example of a Hawaiian red sand beach is Kaihalulu Beach on Maui, located at the foot of Ka'uiki Head, a cindercone hill. Green beach sand is composed of basaltic lava that has a high olivine content. Olivine is a semi-precious stone. One example of a Hawaiian green sand beach is Papakolea Green Sand Beach, located on the Big Island. The green sand on this beach comes from the nearby littoral cone. As the ocean erodes these stones, they are crushed into fine sand. 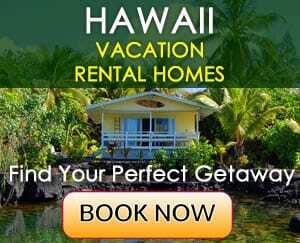 Besides sandy beaches, there are also lava rock and pebble beaches in Hawaii, as well as one unique beach on the island of Kauai – Glass Beach. Much of the beach here is made up of millions of colorful pieces of so-called sea glass.